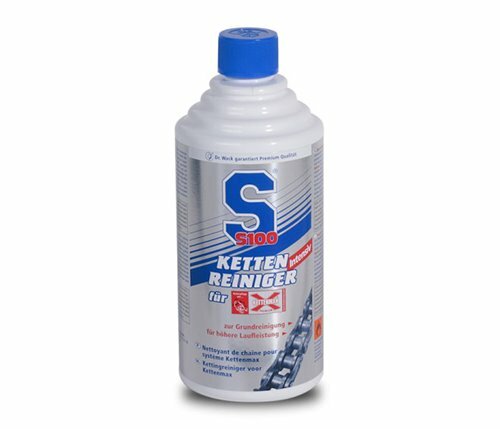 Specially developed for use with the Kettenmax kit, S100 Chain Cleaner for Kettenmax will clean particularly thoroughly, with impressive results. The product has an integrated anticorrosion agent, is impressively efficient, easy to dose out and dries quickly. The chain cleaner is acid-free so does not attack any surfaces, and is compatible with O/X/Z rings and thus perfectly developed for optimum maintenance.